According to Paul D. McLean, an American physician and neuroscientist who made significant contributions in the fields of physiology, psychiatry, and brain research, the human brain is really 3 brains in 1, a Triune Brain. c. Neomammalian (Neocortex or Forebrain: left and right brain hemisphere)—It first assumed importance in primates and culminated in human brain. Responsible for the development of human language, abstract thought, imagination, and consciousness. 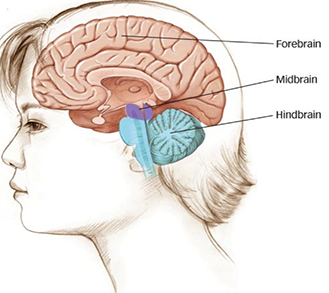 Forebrain technique is done by focusing and concentrating at the center of the forehead. First, settle down and close your eyes. Smile and feel happiness as you do this. Focus at the space on the center of your forehead. Feel J-V-P-L-K (Joy, Vitality, Peace, Love, and Kindness) one after another. Be aware of your breathing. It is recommended to be done for 15 minutes on the first week, increase to 20 minutes the following week, until you reach 30 minutes regularly. Those who can reach 30 minutes will achieve highly positive results. 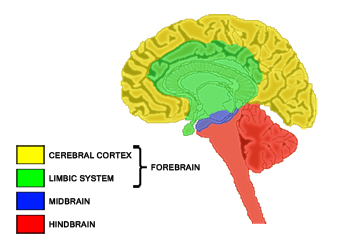 The forebrain technique enables one to develop higher-order thinking and creativity. It will stimulate infinite learning abilities and develop appreciation of culture and the arts. The forebrain, if stimulated, will result to development of high culture, problem-solving ability, optimism, scientific and advanced thinking, inspiration, insight, and intuition.